Planio always had a time tracking feature to log the minutes and hours you spent on issues and projects. You can check where your time went by creating detailed and customizable reports in your projects. We have just made these reports even more accessible. To check how much time you spent on your projects, you can now access your Spent time reports directly from the project menu. With Planio, you can upload files to about anything in your projects, including issues, blog posts, wiki pages, ... Now, we made it even easier to preview these files right from your browser without having to download them to your computer first. In the future, we will expand this list to support further file types. To directly download the file, you can click on the download icon to the right of the attachment. Alternatively, you click on the Download button on the attachment's preview page. With Planio's builtin time tracking features, you can effortlessly track where you spend your days and ensure that your plan comes together. Now, you can start tracking time on your assigned issues more easily. In the issue list, you can now start tracking time for a specific issue directly from the right-click context menu. This works from every issue list, including the Roadmap and the Agile Task Boards. If you have already opened the issue, you can also start the time tracking from the clock-menu in the upper right corner. After you have finished your task, you can stop time tracking from either place and directly log the spent time on the respective issue. As you might know, Planio is powered by Redmine and runs on an always up-to-date branch that's individually managed and hardened by the Redmine experts at Planio. 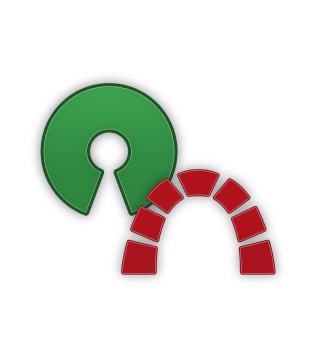 Today, we've rolled out the upgrade to the latest stable Redmine 3.3.2. The upgrade comes with a number of smaller improvements and bug fixes. Many of the features in Redmine 3.3 have been contributed by our engineers at Planio and as such have been available in Planio for a long time already. Likewise, all security patches from Redmine had already been backported and installed for all Planio accounts within only hours of their respective disclosure, following our general security policies. Drag and Drop reordering for statuses, trackers, roles, etc. You can now use Planio Help Desk together with Userlike to get chat logs and messages from your website chat widget directly in Planio. Contact data will be synced and you can follow up on chats directly from Planio Help Desk. We have renamed our previously called Pro Feature CRM & Helpdesk to Planio Help Desk in order to call things by their proper names. We introduced Planio Help Desk back in 2012 – that's over 5 years ago! Since then, it has indeed been about Customer Relationship Management, but it always used to focus on the supporting aspect of it which is now more commonly referred to as help desk. Furthermore, the term CRM is mostly used when people talk about sales tools now – which Planio is definitely not. That's why we thought it would be more consistent to drop the CRM name and focus only on Help Desk instead. This change only affects the user interface and one particular place in the Planio API – when you fetch issues now using the /issues endpoint, you'll get the reply token necessary for tracking pages and for sending email updates as a value to the reply_token key (instead of crm_reply_token). The old key will remain in addition to the new one until July 1st, 2017 after that, it will be removed from the API. Update: While we were at it, we also gave the previous email drop box feature a proper name and are calling it Planio Inbox now. This means that your project inbox addresses are now following the schema inbox+account+project+code@plan.io, but the old addresses starting with dropbox+... will of course continue to work. You've been able to use your Help Desk Templates as questions within your project's own FAQ section for quite some time now. Until now, you always had to navigate to Settings within your project to edit your templates, though. You'll now find a small Edit icon on the right side next to each FAQ item which allows you to quickly edit the corresponding Help Desk Template directly. As you surely know, you can use Gravatars to personalize your user icon at Planio. Simply sign up at Gravatar, upload your picture and Planio will automatically pick it up. Until now though, users who didn't use a Gravatar were displayed as a rather sad and grey boring silhouette. We've changed this today by adding colorful default avatars to Planio. They're active in all accounts already. If you've used a different default before, you can enable them via Administration → Settings → Display.